The Part 3 test measures your ability to give effective instruction and your abitity to pass your knowledge on to pupils. It is generally considered the most difficult of the three qualifying tests. The test is in two phases, each of which lasts about half an hour. 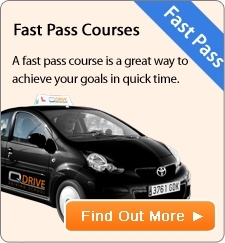 You must pass both phases on the same test. a qualified driver undertaking driver development training.